UK Family Rave organisers Big Fish Little Fish introduced their award-winning dance parties to Victoria's capital city just one month ago, yet tickets to these top tapping events have been selling like hot cakes. We knew we had to jump on board Melbourne's newest kid-friendly rave scene that's got parents all in a tizzy. 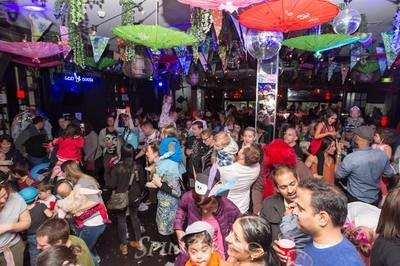 Taking place in the La Di La "night" club in Little Bourke Street, we shuffled along to the second Big Fish Little Fish Family Rave on a rainy Sunday afternoon at 2pm. Taking a difference stance on the usual Sunday Sessions we were familiar with before kids, BFLF Family Raves take place on a Sunday between 2 - 5pm. Walking into the club and the scene all seemed vaguely familiar; a darkened room, disco lights, glow sticks, a DJ booth playing funky tunes and even a bar selling alcoholic beverages. 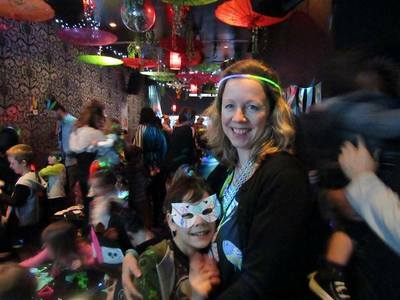 However, things were slightly different from the old rave days, because these dance parties welcome kids in a very big way. 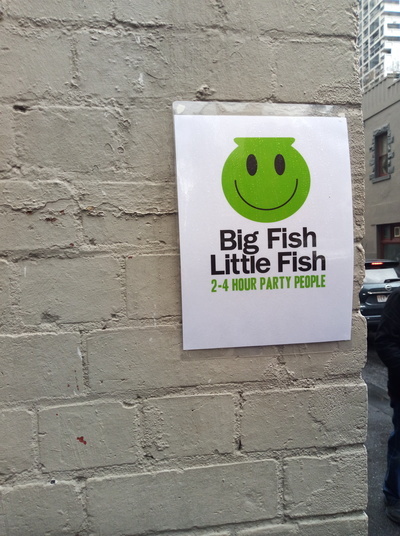 Children's activities play a huge part of Big Fish Little Fish Rave's because let's face it, most little kids won't understand the concept of only dancing to electronic beats all hours of the night and day. The youngest wanted his face painted, but we held off on that for a bit later. This turned out to be an error on our part because the line for face painting grew massively over the course of the next hour. Another big difference from the old rave days; no queues for the bar or for the cloakroom, but for face painting! We walked around to the craft area, which proved to be a big hit all round with hat and mask making, temporary tattoos and a play dough table. Downstairs in the "chill out" room, the kids played in a ball pit and weaved in and out of play tents and toddler tunnels. In the main room, DJ Sunshine did a sterling job filling the dance floor with smiley faces. 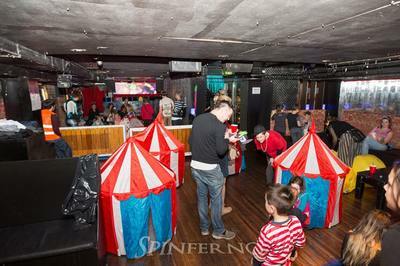 Old club tunes were played much to the delight of the grown-ups and little ones bopped along with their happy parents. With enough to do to keep the kids entertained, we all enjoyed the afternoon. What I would say is that it helped having friends at the event to share the moment with. 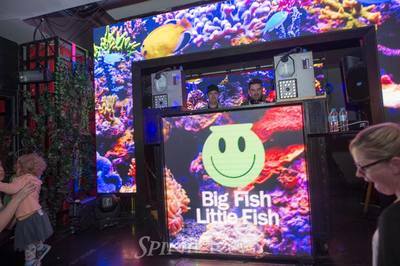 Thumbs up Big Fish Little Fish Melbourne for a well organised event that allows us tired / busy parents to enjoy a little of what our old clubbing days used to be, in a somewhat different way, but still lots of fun. Head to Big Fish Little Fish on Facebook for more info. Have you seen The House of Magic?